A film specifically created to raise awareness among teachers and other professionals who engage with primary school-aged children whose lives are affected by a parent with Parkinson’s disease or similar ‘hidden disabilities’, has featured on leading UK BBC magazine programme The One Show. Called “Listen to my Thoughts”, the film follows the experiences of Jess, a primary school pupil whose mum has Parkinson’s. 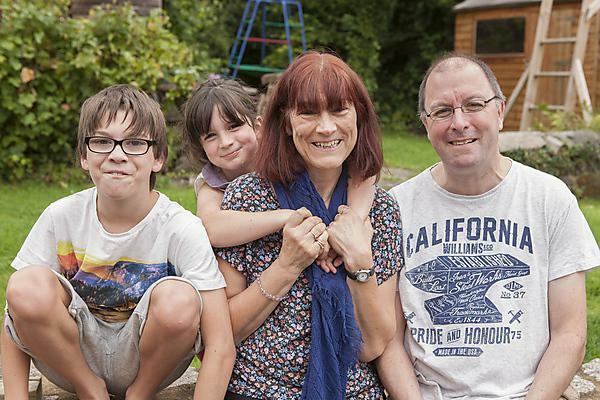 It shows some of what she has to deal with at home and at school, and ultimately indicates the mutual benefits when she, her parents and her teacher communicate and understand the enormous impact Parkinson’s has on life at home. The film includes quotes from Mael and Amy about their experiences, and an interview with Helen Young, a teacher at Lewannick Community Primary School in Cornwall. Lyn Fearn, lives in Cornwall with her husband Eifion (Eif) and children Mael, 12, and Amy, eight. Lyn was diagnosed with Parkinson’s four years ago. Parkinson’s caught up with me gradually. It started with losing my sense of smell, and then as a teacher I was finding it hard to write on the blackboard. I started to walk with a limp, and was having problems managing simple things like putting my feet into wellies or keys in locks and doing buttons for the children. As more young children are faced with this situation, it is not a problem that is going to go away. In some small way I hope that our film is the first step to ensuring that this is a problem of the past, and that there is a brighter future ahead for families touched by Parkinson’s.